Here at Watb, we’re big fans of Google Tag Manager, it allows us to drop in code snippets into our websites (amongst many other things) without having to change any HTML. As it keeps on gaining popularity, we thought we’d show you how to implement Linkedin’s Insight Tag via Google Tag Manager. This setup is really straightforward, so you shouldn’t have any issues along the way (hopefully). From here you’ll see a code snippet which contains your ID, write down the 6 digit ID and put it to one side for later. 2. 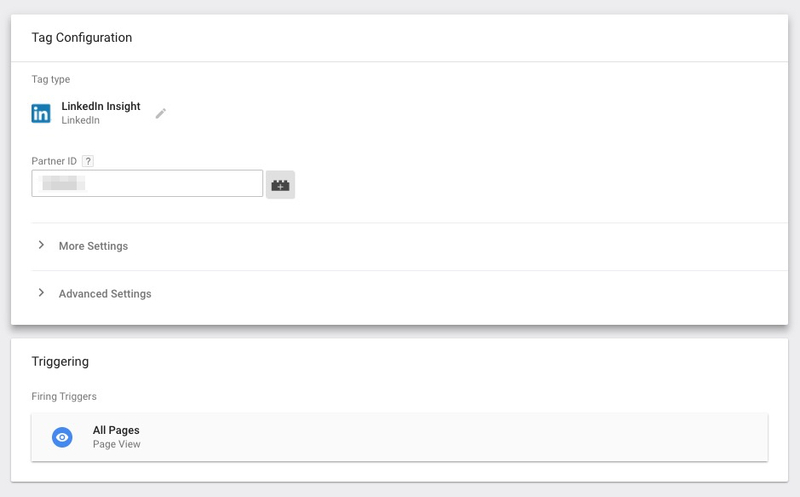 Sign in to Google Tag Manager and click on your account, and then your container. We’re going to add a new tag at this stage, give the tag a decent name ‘LinkedIn Insights’ for example. 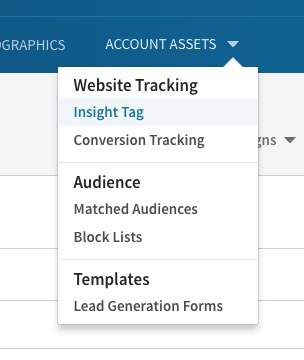 Choose a tag type, and on the right-hand side, you’ll see LinkedIn Insight. 3. Test it works! There are two ways we like to test our snippets are working. We’ll use the preview mode in GTM first, and then we’ll look at a Chrome extension called Ghostery. Turn on preview mode and then reload your website, you’ll get the split screen view as expected. You should see a tag being fired called whatever you named it above. As you can see below, the tag is being fired. That’s good. We’re going to go ahead and turn off the preview, and then publish our changes. To be 100% sure it’s all working, we’re going to use a browser extension called Ghostery. 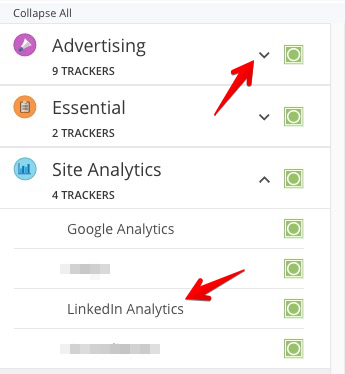 Once you have the extension running, reload your webpage and check to see if LinkedIn is showing up on your Advertising tab, and also your Analytics tab. You should be good to go. Once your first LinkedIn conversion happens, you’ll see it logged on your LinkedIn Ad Manager dashboard.